2. Integrate clock, alarm,speaker and thermometer function in one. 4. 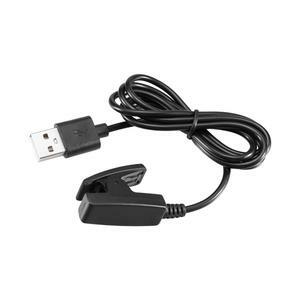 3.5 mm stereo line-in cable for playing other audio devices. 5. Can we make customized color9 Yes,we can make any color for case according to the Pantone Code. Mini Sponge Ball Speaker Balloon Mobile Audio Docks Cute Music ball mini speaker For iPhone and For Samsung Android Phone Feature Cute sponge ball design Very eye catching, amaze everyone around you Light and compact, highly portable Comes with 3.5mm audio line and USB charging cable Perfect addition to your iphone, ipod or MP3/MP4 players and so on 3.5 mm interface player With on/off switch to save battery life while in not use Available in different colors to suit your taste. Let's take off your earphone now and share your music with everyone A best gift for yousel or friends Specifications Color:Black/ white/ red/ grass green/ blue/rosy/orange/yellow/Pink/Purple(we send it randomly, if you want favored color,please contact us or leave us message when you place order) Battery: Built-in lithium battery. 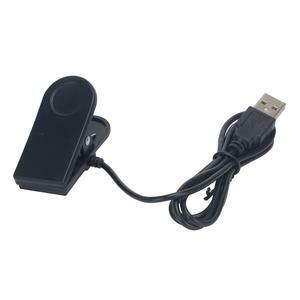 Rechargeable via USB Material: ABS & sponge Weight: About 45g Size: Abut 5.5 x 8 x 5.5cm Charging time: the first charge at least 2 hours Standby time: 6 hours Turn ON/OFF: in sound head with "OFF - ON" button, uncover cavernosum have a switch NOTE:Please be sure to turn off switch on the speaker when chargering Colors for Choice : Black, White, Red, Green, Yellow, Pink, Rose, Dark Blue. QI wireless charger Portable Wireless Music player blue-tooth Radio Speaker with blue-tooth Speaker, Alarm clock, Radio, Dock Charging Station for iPhone, iPad, iPod, Samsung, smart phones. 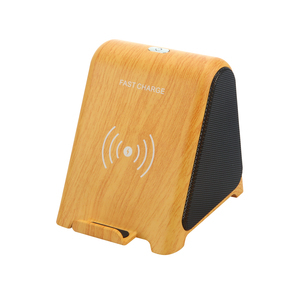 * Built-in 4000mah Rechargable battery as power bank go anywhere for charging. * Bluetooth music playing function with Superior sound quality * TF card for music playing function * Aux input for music playing function * LED Display for time/alarm clock * FM Radio function frequency 87.5-108MHz * Hand-free function: Answer phone calls using the hands free function. 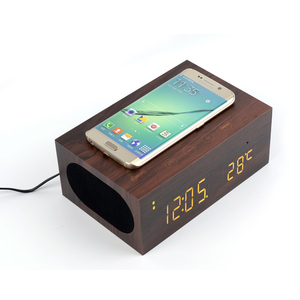 Universal Remote Control Wireless Speaker With Dock Charging Station Alarm Clock Features: 1. 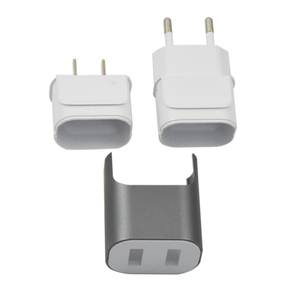 Docking station can be rised and falled, the iphone5/6/7/8/X android mobile phones can be directly inserted into charging, interface can plug replacement (8pin connector, micro USB connector *2). 2. Folding mobile phone stand holder, make phone charging and watching movie more convenient (mobile phones can be placed horizontally). 3. Dual alarm clock for every day and day 4. Built in FM radio 5. After BT connection, then play music. Q1. What is your terms of packing9 A: All the TWS Wireless headphone have a standard gift package. We'll show you the photos of the products and packages before you pay the balance. Q5. Can you print our logo on your products9 A: Yes , it can print your logo on Wireless headphone . 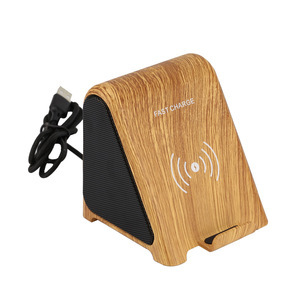 Wireless music full range cube computer speaker for ipad mini dock with micro sd card and remote control What is vibration speaker9 Vibration speaker is derived from "The U.S. Ganerally,those and dense materials are more sensitive to alt,such as glass,metal and marble,etc. The materials are softer and lower density perform better in bourdon,such as wood tables,guitar,etc. 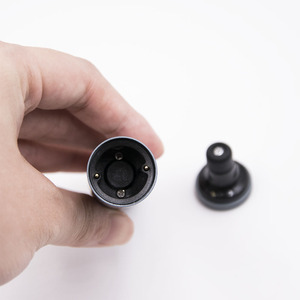 *NFC Function The More Convenient Method to Connect Your Phone to The Device which Just Need 2 Steps. 3.Then Your Phone will Open the Bluetooth Function Automatically and the Speaker can Play the Music from Your Phone. Q5. How does your factory to control the quality9 A. 2 YRS Shenzhen Calion Power Co., Ltd.
Q2. Can I get one sample for test before big order9 A: Of course. We can send you some of our existing samples for your reference idea. Q5, What's the lead time when I place bulk order9 A: Around 18 days. 2 YRS Xingzegao (Shenzhen) Electronics Ltd.
1 YRS Shenzhen Digistar Technology Co., Ltd.
7 YRS Shenzhen Mteche Technology Co., Ltd.
1 YRS Shenzhen Qianhai Fengman Technology Co., Ltd.
1 YRS Shenzhen Xiang Xiang Yu Technology Co., Ltd..
Q4: Do you have quality gurantee9 Yes, we do 1 Year Warranty for any of our products. We have our R&D team,we can provide the support of technology. We have been cooperating with many advanced and famous corporation around the world. 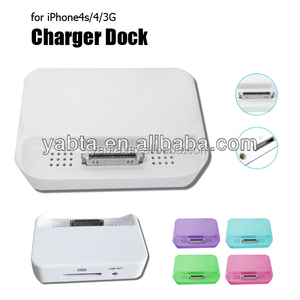 Alibaba.com offers 328 music dock manufacturers products. About 3% of these are charger. A wide variety of music dock manufacturers options are available to you, such as mobile phone, computer, and portable audio player. You can also choose from free samples, paid samples. 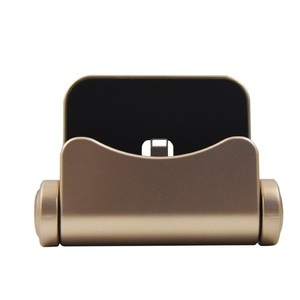 There are 328 music dock manufacturers suppliers, mainly located in Asia. The top supplying country is China (Mainland), which supply 100% of music dock manufacturers respectively. 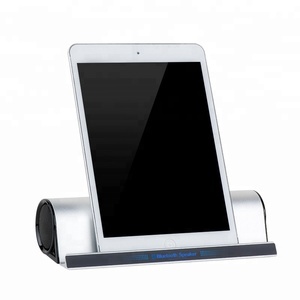 Music dock manufacturers products are most popular in North America, Western Europe, and South America. You can ensure product safety by selecting from certified suppliers, including 31 with ISO9001, 4 with ISO14001, and 3 with Other certification.